Great entertainment for every member of your family. Catchy music and good themes. Party story gives it a whole new dimension. Kids would love to dance with their favorite characters. The finale with the confetti gives it a very nice touch. It’s party time beginning in mid-February when a cast of Disney characters, stilt walkers and other performers processes down Main Street, U.S.A. toward Cinderella Castle to high-energy tunes such as “Breakout” and “I Like To Move It.” Five floats decked out as gift-wrapped packages are part of the procession, and near the castle, Mad Hatter, Genie, Lumiere and Sebastian – the life and light of the party – pop out of four huge boxes. 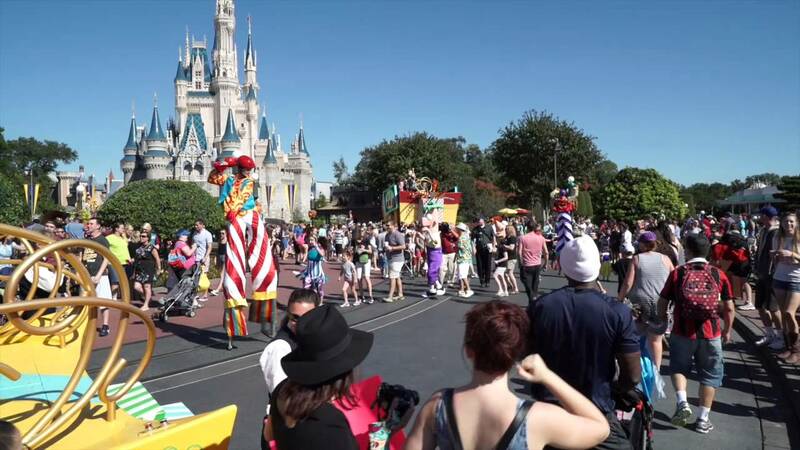 They join about a dozen other Disney characters headed by Mickey Mouse and Minnie Mouse to mix and mingle and dance in the street with Magic Kingdom guests during a 12-15-minute party scheduled to take place three times daily. Cast Member only preview was held February 11 2009. Public guest preview was held on February 12 2009 at 12:40pm. Official opening was February 13 2009.